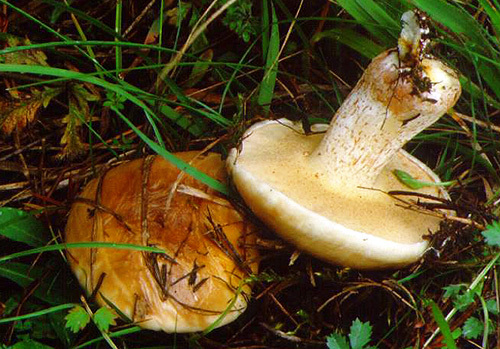 Cap up to 12 cm, at first hemispherical then expanding to convex or somewhat flattened, whitish, ivory, soon spotted ochraceous to brownish, sometimes almost entirely brownish but cap margin always paler (f. bellinii) or entirely yellowish (f. lutea Pérez-de-Gregorio). 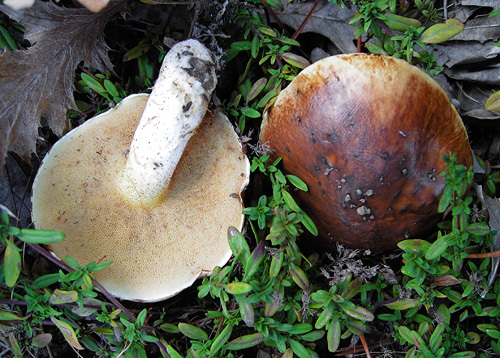 Stipe very short, cylindrical, more or less whitish, without ring, covered with numerous large brownish or reddish brown glandular dots. Flesh whitish. Tubes pale yellow to olivaceous yellow. Pores fine, rounded, pale yellow to olivaceous yellow. Smell not distinctive. Taste not distinctive. Spores 8.5–10 × 3–4 μm. Habitat. 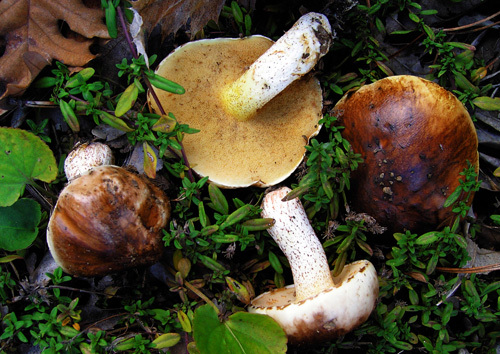 Coniferous forests, mycorrhizal with two-needled pines (Pinus halepensis, P. pinea, P. radiata). Distribution. For a long time thought to be restricted to the Mediterranean area, but recently recorded also from the northeastern parts of Bulgaria. 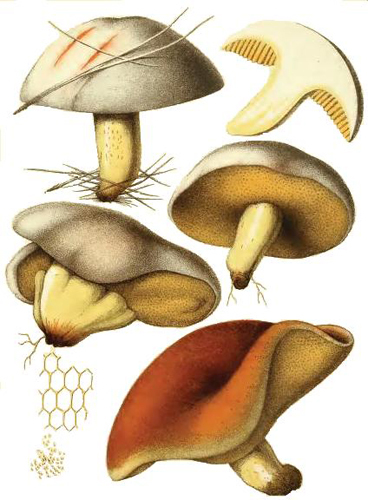 The original illustration of Suillus bellinii accompanying the description of the species in Inzenga's Funghi Siciliani. Watling, R. 1967. 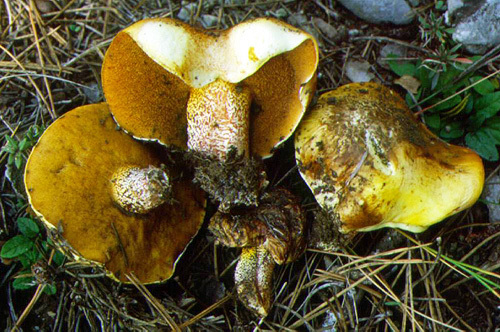 Suillus bellinii from Majorca. – Notes from the Royal Botanical Garden Edinburgh 58: 57–63.